Federal employees and members of the military have a good retirement investment opportunity available exclusively to them in Thrift Savings Plans. TSPs are similar to 401(k) plans in many respects, including early withdrawal penalties. In addition, as with other retirement plans, with TSPs there are some exceptions to such penalties. The intent is that holders of TSP accounts will leave them alone until retirement. Depending on the plan, you typically cannot withdraw funds until age 59 1/2 and retirement from federal service. The Internal Revenue Service imposes a 10 percent tax penalty when, due to certain life circumstances, you take money out before that age. In addition, you must pay federal -- and sometimes state -- income taxes after early withdrawals. If you're age 55 or older when you retire, for any withdrawals you make before age 70, the IRS waives the 10 percent penalty. An in-service withdrawal involves taking money out of your TSP due to financial need before both age 59 1/2 and retirement. 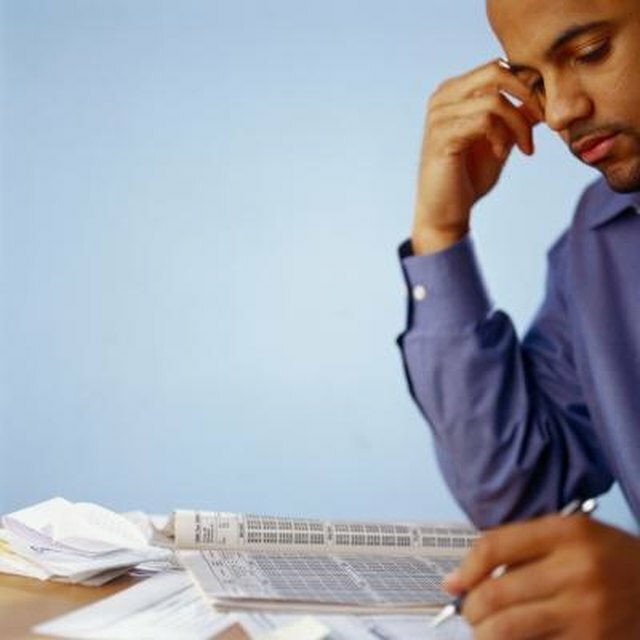 The financial hardship withdrawal has several rules and limitations. Financial hardship applies only if you have personal negative cash flow, medical expenses not covered by insurance, personal casualty loss or legal expenses. Also, withdrawals have to be at least $1,000, and only once within a six-month period. You must pay the 10 percent tax penalty, plus federal income tax on the amount you withdraw. Additionally, there is a waiting period of six months before you can contribute to your account again. If you have two TSP accounts active in association with a federal job or military service, the rules allow withdrawals from both accounts. The age-based in-service withdrawal relates to withdrawals from your TSP after age 59 1/2. It's allowed only if you’re still active as a federal employee or in the military. Stipulations are that you withdraw at least $1,000 or your entire account balance if it is less than $1,000. No tax penalties apply, though you must pay income taxes on withdrawals. Additionally, this withdrawal disallows any later partial withdrawal out of the same account after retirement from federal service. As with financial hardship withdrawals, you may withdraw funds from two active TSP accounts. TSP account-holders can avoid the 10 percent penalty on early withdrawals in some other circumstances. These situations include a withdrawal payment due to disability, death, an annuity payment or an automatic enrollment fund. In addition, the penalty is waived for those who earn income in combat zones and contribute tax-exempt money to their TSP. Reservists are eligible for this penalty waiver if in active duty for more than 179 days. In addition, a reservist must be active since Sept. 11, 2001 and receive TSP distributions between the start and end time of active duty.